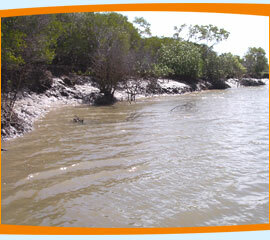 Groper Creek is located 17km south of the sugar cane district of Home Hill in North Queensland. Following Heath's Creek being placed under council control in 1921 a petition by local residents convinced council to secure eight hectares beside Groper Creek from Samuel and Rose Seale in exchange for a similar parcel of land of the Heath Creek reserve adjoining the old wharf. Changing water flows made the old site of little use. Goper Creek was just a tidal inlet until the floods of 1918 made it one of the mouths of the the Burdiken River, one of the largest river systems in Queensland. Groper Creek became popular for fishing expeditions to Beachmount and Cape Upstart. Today the small fishing community's population is made up of around 50 permanent residents, mostly being retirees. 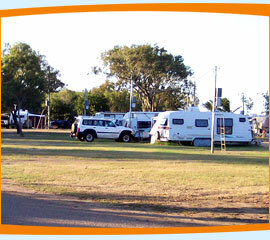 In holiday seasons the population balloons to over 300 with visitors flocking to the caravan park located on the bank of Groper Creek. Many of the visitors come to take advantage of local fishing and crabbing. Beautiful winter is here and the fish are on the bite!! 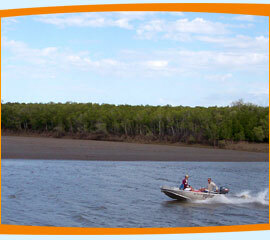 Groper Creek is a large estuary system with plenty of great fishing holes. 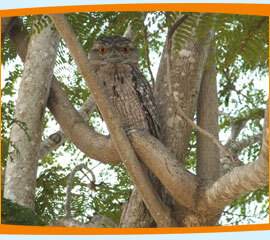 Groper Creek has an abundance of wildlife, especially many breeds of birds. Groper Creek is great fishing all year round with popular sportsfish including Barramundi, Mangrove Jack, Salmon, Flathead and more! 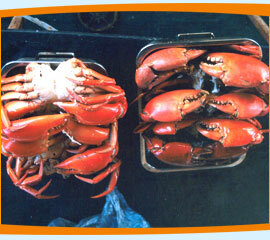 Mud Crabs are always around and a good feed is not hard to come by.